Mother’s Day is quickly approaching, and it’s a great opportunity for your restaurant to shine! And rightfully so, because Mother’s Day is the most popular day for restaurants. By how much? Well, we crunched some numbers and Mother’s Day was the most popular holiday for viewing online menus with 2,375,595 views on that day alone! The other two most popular days were the two days before Mother’s Day (the three days totaled over 7.3 million menu views). As a restaurateur, you should have a plan for making the holiday a memorable event for families dining with you. Read on for four tips to creating a special event for moms on May 13th. Let’s face it, practically everyone is on social media! So, having your marketing strategy extend to your social media accounts is a no-brainer. Having a social media plan for Mother’s Day will not only make your followers aware of your event, but also show what makes your restaurant unique. Have you thought about running a contest online? This is a great way to get followers talking. With a campaign theme like “snapshots with mom,” you can encourage followers to post their favorite photos with their moms and include the unique hashtag that you create. Choose certain posts to repost on your own social platforms and even grant a lucky winner or two a prize (like a free entree on Mother’s Day). Don’t forget to interact with and thank all of the participants for contributing. Take your social efforts a step further by including photos of your staff with their moms to make your social media accounts feel authentic. Creating a community around your business will help not only your social and online presence, but your reputation. Telling the story about your brand, business, and customers will help to facilitate human interactions and build loyalty. With so many people browsing online menus ahead of Mother’s Day, it’s clear that they’re looking for something special to impress mom with. You want to be the restaurant that stands out from the crowd! Going that extra mile can help. Go a step further than just a standard brunch menu or prix fixe dinner. Create a unique menu item geared towards moms or invent a special cocktail only available on May 13th. You can even take it a step further by offering a giveaway, like flowers or a box of chocolate for each mom in attendance. Adding a special touch to the event is sure to impress all of your diners. Mother’s Day is great for your restaurant’s business, but the true meaning behind the holiday is to honor moms everywhere for all that they do. Provide sons and daughters with cards upon their arrival that they can give to their moms at the conclusion of the meal. Encourage them to include a special message for mom. 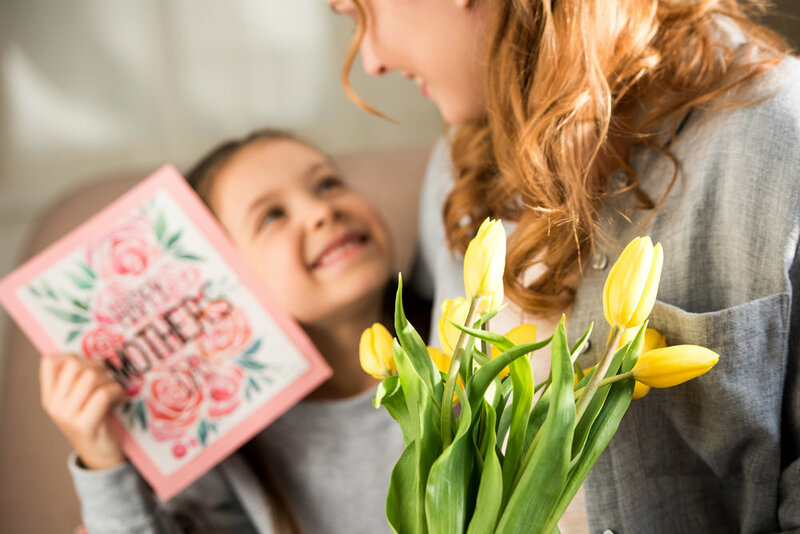 You can even create a questionnaire for children to fill out that includes questions like “What places do you most like to visit with your mom” and “What is your favorite memory with mom.” Handing mothers a keepsake that has meaning is sure to make their day even more memorable. Consider hiring a photographer or an artist to capture the candid moments of the day and give guests a tangible memory to take home! You want your customers to remember the experience they had at your restaurant and they’ll appreciate that you put in the extra effort to provide them with it. Don’t want to spend money on a photographer? Polaroid photos are a cost-effective and quick option to provide the same experience. Have a crafty staff member? Ask them to create a photo border that customers can pose for the photo with. You can also incorporate photo props to make it fun. 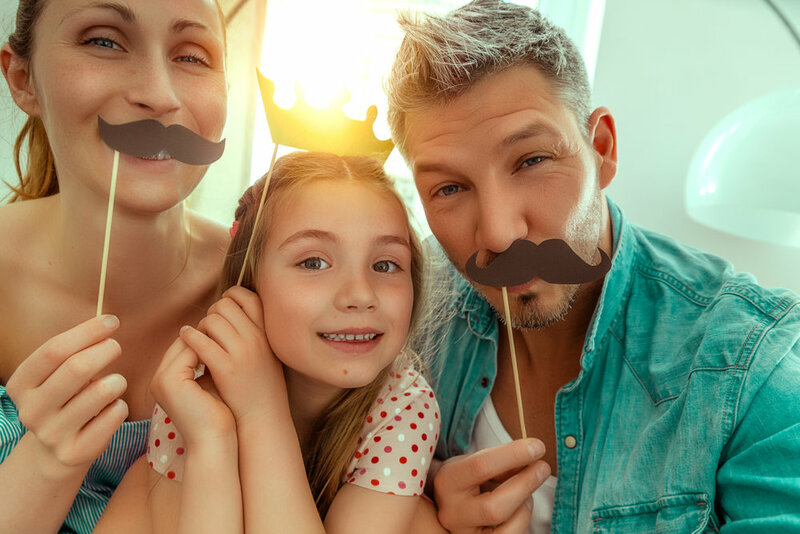 Thinking outside the box this Mother’s Day by providing your guests with extra elements will make their experience at your restaurant even better. Offering your unique touch shows diners that you care about making their celebration the best it can be. We hope these 4 tips inspire you to create a unique event for all moms dining with you on May 13th.